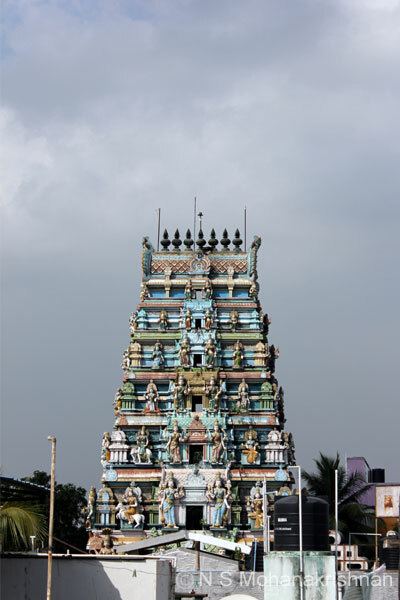 This is a beautiful east facing temple with a 5 tier Rajagopuram and nearby is an equally beautiful Shiva temple. 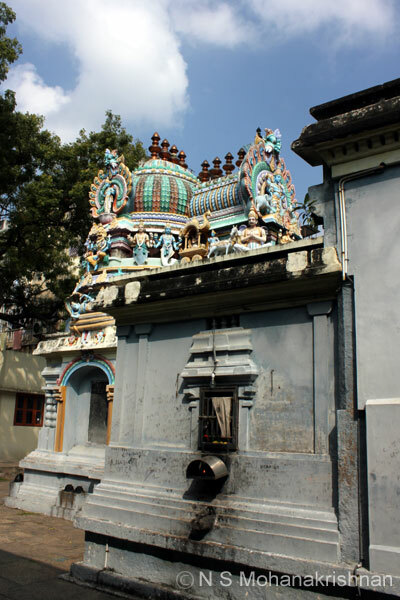 This is a small east facing with a 5 tier Gopuram right next to an ancient Shiva temple. 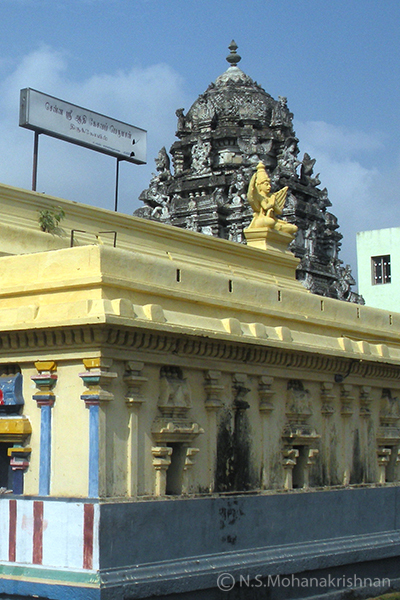 This is a small east facing temple from the ancient days located in a busy locality. 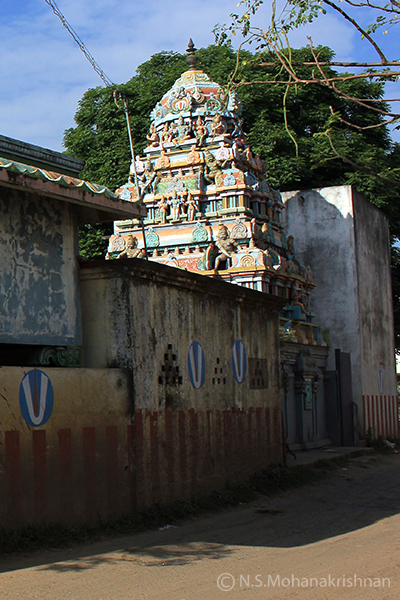 This is an ancient temple originally located in the Madras High Court area and demolished by the British in 1757 CE. 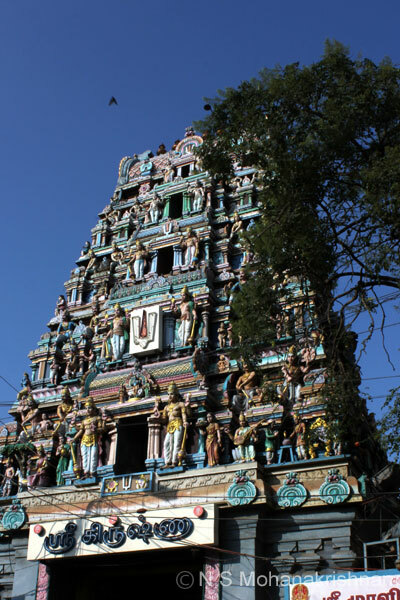 This is one of the twin temples built in the 1740’s with the support of the British East India Company. 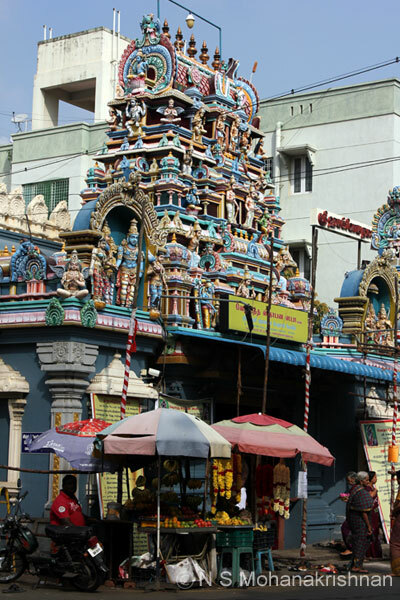 This is the birthplace of Pei Alvaar and even today on his birthday prasadam from Triplicane Parthasarathy Perumal Temple is brought here. 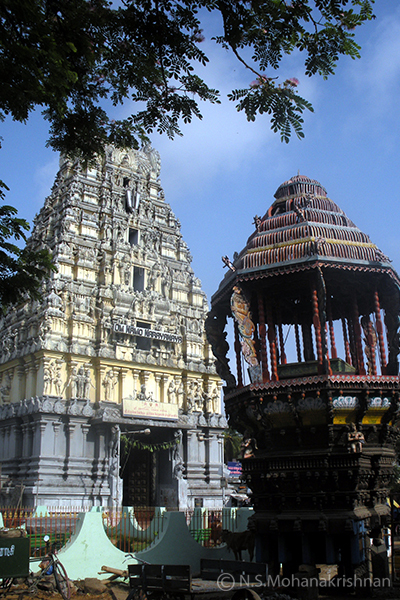 According to some records the name of the temple and the location figures in the list of temples belonging to a period 800 years ago. 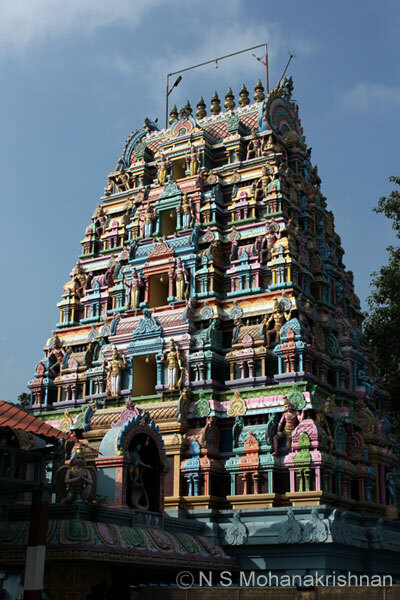 As per the Brahmanda Purana, Goddess Lakshmi was born to Sage Bhrigu in reply to his penance in this temple’s tank. 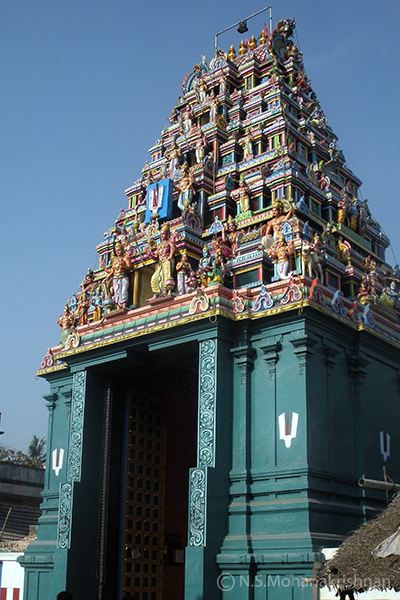 This temple has been mentioned as an Abhimaana Sthalam of Thiruneermalai Temple. 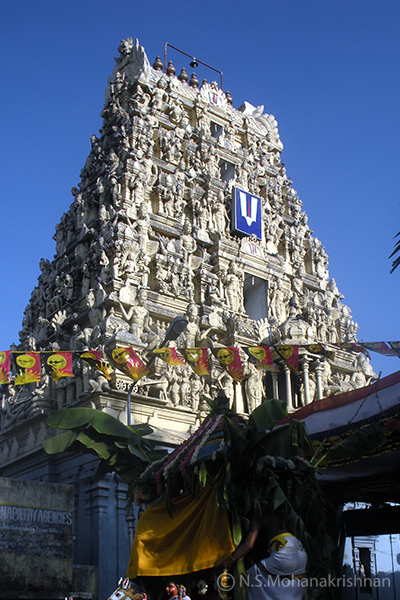 According to historical records and inscriptions found inside the temple some of the elements date back more than 1000 years. 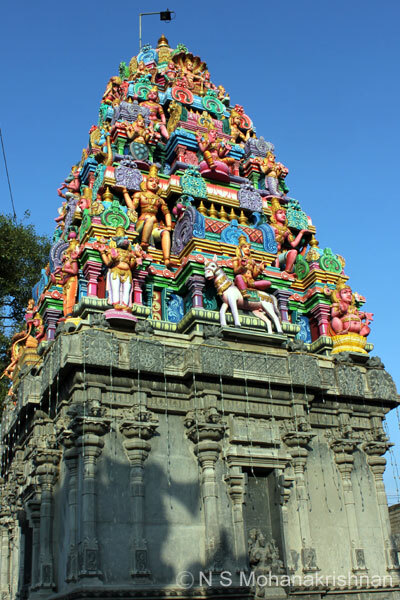 This was originally a Bhajanai Kovil and the present temple was built in 1850. 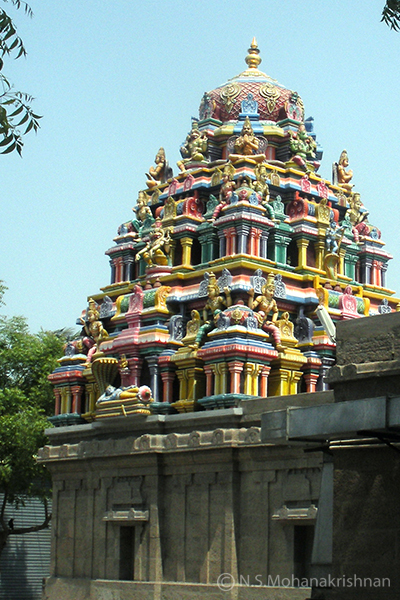 Lord Rama is believed to have given darshan to Sage Valmiki here. 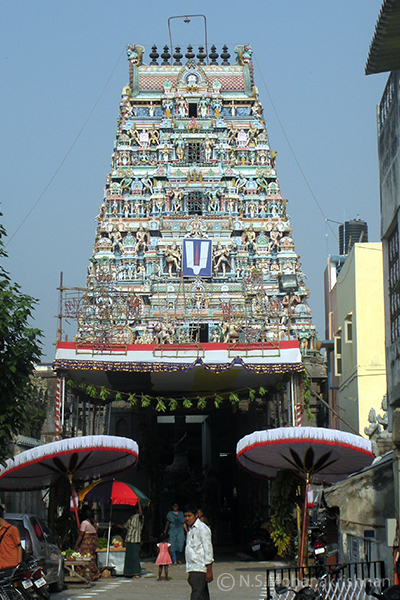 The lord and his consort have one eye on each other and one on the devotees, embracing each other. 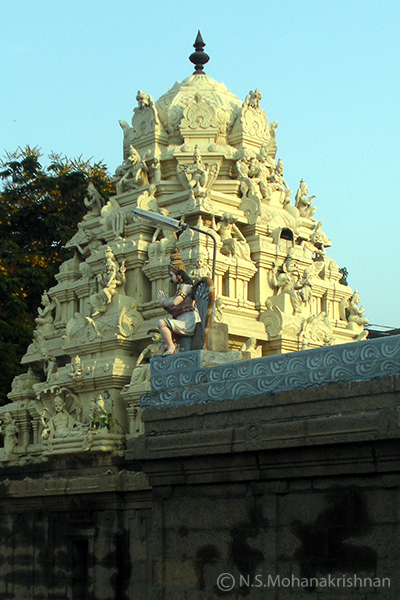 Recent excavations here revealed a five-and-a-half feet high idol of Maha Vishnu dating back to the 8th Century CE. 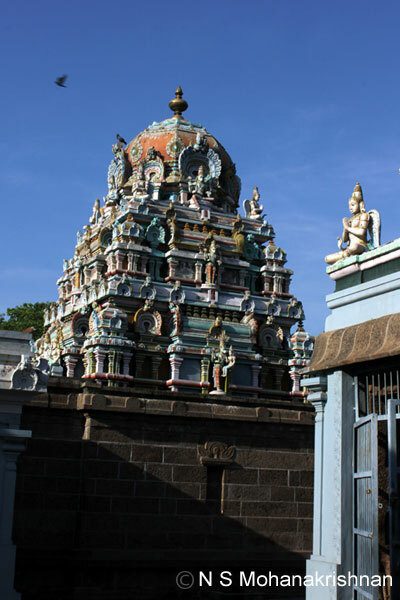 Thirumoolar has stayed here and has mentioned this temple and the goddess as ‘Aedangai Nangai’, subsequently known as Nangai Nallur and now as Nanganallur. 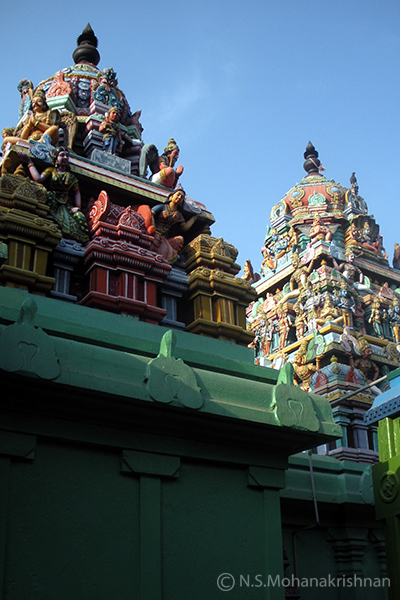 The insides of this wonderful temple are spacious, surprisingly clean and peaceful for such a crowded place. 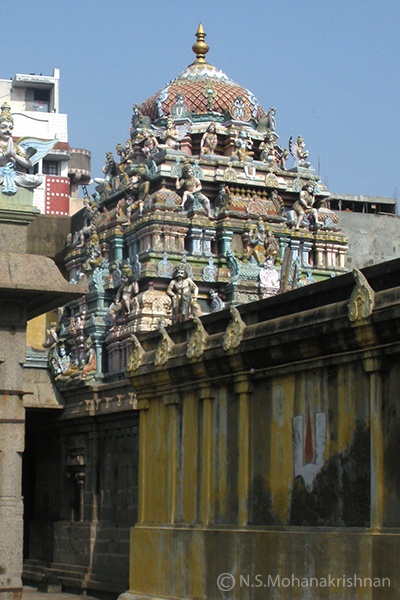 The temple inside is spacious with pillared Mantapa and several niches for idols around the sanctum sanctorum. 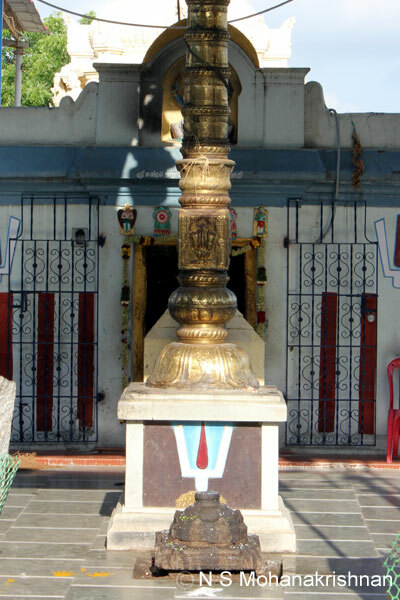 A bronze idol of Veda Narayana from the Pallava period predates the recorded times of this ancient temple. 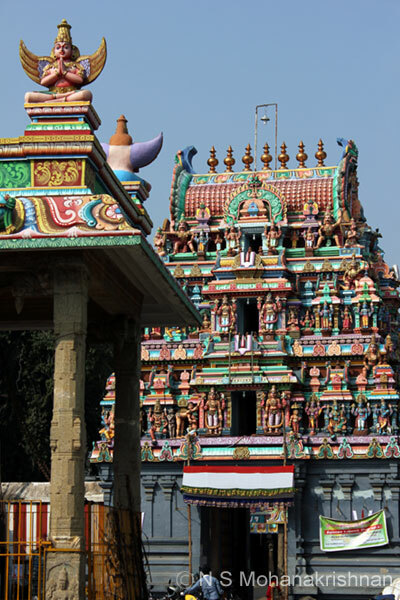 This is a beautiful temple with an equally beautiful row of shrines for the 12 Azhwars.